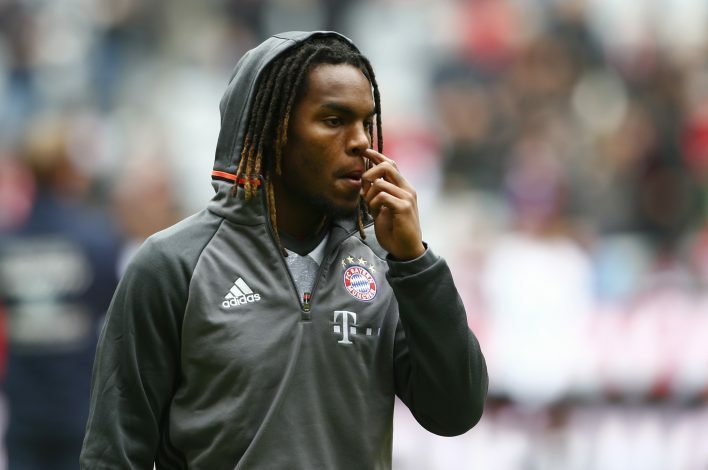 There are no signs of AC Milan slowing down their recruitment process this summer, as a deal for Bayern’s Sanches is now on the cards. Having signed 8 players already, AC Milan are far from done in the transfer window, as the Italian giants now set their sights on the forgotten Renato Sanches. The Portuguese midfielder, who was recognized as the European Golden Boy in 2016, has had his playing time limited since making the big money switch to Bayern Munich. Following his forgettable season with the Bundesliga champions, Sanches’ nightmare in Germany could soon be over, with AC Milan ready to pounce. According to the Record newspaper, Chinese cash rich AC Milan are looking to sign Sanches on a 2-year loan deal with an option to make it permanent for €47 million. The Portuguese wonderkid is supposedly keen on joining the Italian outfit because of his scarce opportunities with Bayern over the last year. The 19-year-old box-to-box midfielder managed to start only 6 matches last season, where he failed to register a single goal or assist. Renato’s disappointing year continued, as he was not called up to represent his national team at the Confederations Cup. Moreover, he had to face the humiliation of sitting on the bench for the Portuguese U-21 team at the U-21 Euro Championship.